Undisputed, inarguable fact: Emily Blunt is an international treasure. If the makers of Disney’s Mary Poppins Returns did nothing else right, the casting of Blunt as the “practically perfect” magical nanny was a stroke of inspired genius. 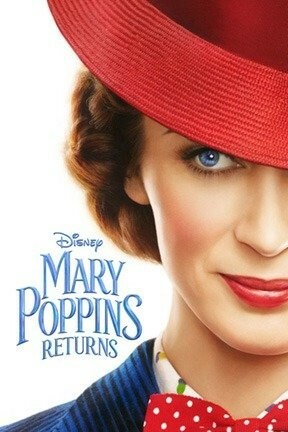 Unfortunately, it’s a fool’s game to try and force lightning to strike in the same place twice, which is why Blunt’s performance—which is easily equal to that of the great Julie Andrews—is the best thing about Mary Poppins Returns. I saw this film less than 12 hours ago, and cannot hum a single song from Mary Poppins Returns to save my life.